The Louvre Museum has 8.5 million visitors per year. This blog was viewed about 1,100,000 times in 2010. If it were an exhibit at The Louvre Museum, it would take 47 days for that many people to see it. In 2010, there were 52 new posts, growing the total archive of this blog to 1118 posts. There were 40 pictures uploaded, taking up a total of 2mb. That’s about 3 pictures per month. The busiest day of the year was September 29th with 5,457 views. The most popular post that day was Scheduling SSIS Packages with SQL Server Agent. The top referring sites in 2010 were google.co.in, google.com, stackoverflow.com, google.co.uk, and social.msdn.microsoft.com. 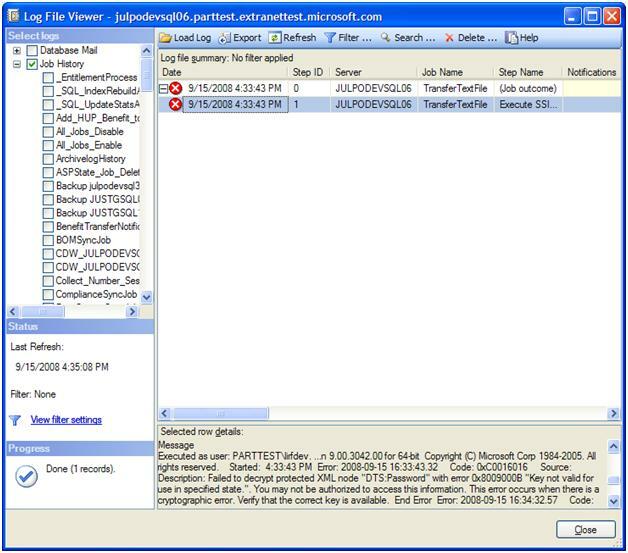 Some visitors came searching, mostly for al32utf8, oracle update from another table, the user is not associated with a trusted sql server connection, sql server 2008 schedule save, and deploy ssis package to sql server 2005. Wish our readers a very Happy 4th of July. We wish all of you and your loved ones a very Happy New Year. May all your dreams and aspirations come true in a wonderful way this year … and always. Best wishes for a joyous, prosperous, healthy and peaceful 2010 to all of you. We wish all of our readers a very Merry Christmas. May the upcoming year bring a lot of joy and happiness to you and your loved ones. Best wishes from the Decipher Team. We wish all of our readers in the USA a very Happy 4th of July. Happy Independence Day. For our readers who are from India, wish all of you guys a very HAPPY HOLI. At Decipher, we have folks from different parts of the world – US, India, Iran, Mexico and Germany and we celebrate all festivals. Holiday Spot’s article on Holi – here. Holi Festival Site – here. India Festivals Site article – here. The blog roll has the links that we use a lot for our day to day work and are blogs from experts like Tom Kyte (of the asktom.oracle.com fame) or Chetan Sharma (Wireless Expert who writes the blog named AORTA) or sites like GigaOm and others. Just wanted to mention that we became Microsoft Certified Partner last week with our specialization area being Data Management Solutions (Database Management and Business Intelligence). We are also aiming for the Gold Certified Status and hope to have that in place soon – once our product has been tested and we get an ID back from Microsoft.